ADHD strategies for the classroom and at home. Provide your students with opportunities to thrive. Taught by renown ADHD expert. This course is designed to help parents, special educators, and general educators gain a better understanding of ADHD and inclusion. Inclusion is one of the current educational movements that advocates educating students with disabilities including ADHD, in general education classrooms. This course will help the learner achieve a better understanding of ADHD and intervention strategies that facilitate positive student learning in the inclusive classroom. Reference materials include a list of resources for both teachers and parents who would like more help or information on ADHD or the inclusion model. A wealth of experience, research and knowledge has gone into developing the ADHD and Inclusion course, designed to provide you with skills, training and strategies that can be used in the classroom, field, and at home. Educational problems caused by ADHD. ADHD and how we learn. 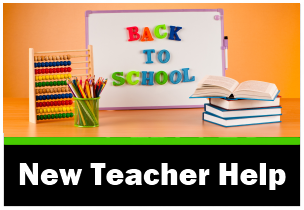 Classroom management for ADHD – Behavior management in the classroom. Best ADHD apps for organization and education. To develop an understanding of what ADHD is. To understand when and how ADHD can be diagnosed. To gain an awareness of the three subtypes of ADHD. To gain knowledge on what the hallmark symptoms of ADHD are. To know the questions to ask before getting a diagnosis of ADHD. To be aware of the five reasons some children are misdiagnosed. To gain awareness of other reasons why a student may be inattentive. To know how ADHD impacts upon performance in the school environment. To understand how ADHD impacts different children. To gain an understanding of how we learn. To gain an understanding of the vision system, auditory system, and tactile/kinesthetic systems. To know how individual learning styles impact the child’s learning. Lesson Five – What is inclusion? To understand the inclusion model, including how long it has been practiced. To be aware of different models of inclusion. To be aware of specific ways inclusion is practiced and implemented in different schools. To understand the benefits of inclusion. To understand what the federal law says about inclusion and LRE. To gain knowledge of the best practices regarding placing special needs children in the inclusive classroom. To understand the parent’s role in inclusion. To know what is the most common disorder among children. To understand the 8 criteria for ADHD. To understand the common effects of ADHD. To gain knowledge of good classroom practices. To understand the parent’s role in homework. To understand the pros and cons of inclusion. To understand what executive function is. To understand what self-regulation is. To learn the 5 components of executive function and self-regulation. To understand how to organize schoolwork, homework, or projects that will increase productivity. To know the 11 steps to successful completion of homework. To discover what you can do to make schoolwork/homework time easier for your ADHD kids. To understand the benefits of teaching planning skills. To know how to plan school projects from primary grade through high school. To understand why graphic organizers help those with ADHD. To gain knowledge of how to help students with ADHD improve executive function and self-regulation. To learn what is the best diet for those with ADHD. To understand how protein impacts those with ADHD. To understand when it is appropriate to eat complex carbohydrates. To understand what happens when children have food additives in their diet. To understand if medications will work for you. To gain knowledge of medications when one has ODD and ADHD. To understand problems that can arise with Vitamin C.
To be aware of withdrawal symptoms and side effects of medications. To learn how to monitor ADHD medication effectively. To learn about how essential oils can benefit those with ADHD. To learn which essential oils can improve clarity and focus. To learn about aromatherapy and its benefits. To understand the problems with traditional medication for ADHD. To understand what ADHD is caused by. To understand what your blood says about you. To understand the 21 underlying issues that your blood sample can tell. To gain knowledge of what neuro-feedback is. To learn how neuro-feedback helps those with ADHD. To view two demonstrations of how neuro-feedback can work. To gain knowledge of how meditation helps those with ADHD. To understand the benefits of meditation. To learn the best ages to implement meditation for ADHD management. To learn how to implement behavioral interventions. To be exposed to a range of effective behavioral interventions. To learn the five steps to giving praise. To learn six specific techniques including ‘hurdle helping’ to use in the classroom. To understand how peer-mediation can benefit your classroom. To learn about functional behavioral assessments. To understand token economy systems and self-management systems. Learn 3 techniques for addressing ADHD. Learn what you can do to address ADHD sleep issues. Learn when ADHD symptoms need to be present for your child to be properly diagnosed with ADHD. 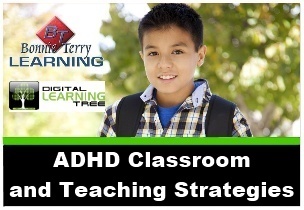 To learn specific strategies for managing ADHD in the classroom. To learn specific strategies for managing ADHD in the home. To learn how ADHD kids can become distracted in a classroom setting. To learn the first step to reducing interruption in a classroom. To understand what a Section 504 Plan is. To understand who qualifies for a 504 Plan. To understand what an appropriate accommodation could entail. To learn the steps you need to take to get your child covered by a 504 Plan. To learn what 504 Plans include. To understand the easiest way to set up the 504 to address the concerns. To understand what good classroom management includes. To learn what classroom management techniques can be used for those “in constant motion ADHD kids”. To understand what differentiated instruction is. To learn the 7 step process to differentiated instruction. To understand what the assessment of learning encompasses. To understand how exercise impacts ADHD. To learn the brain benefits of exercise. To learn which systems of the brain are turned on through exercise. To learn how to accommodate for ADHD student’s short attention spans. To gain knowledge of 18 effective strategies to use in the classroom. To learn about environmental considerations that will benefit those with ADHD. To learn the best ways to give directions to those with ADHD. To learn what to do during downtimes and break times. To learn the best kept secret to a productive classroom. To learn 9 things your students can do to become more productive. To learn 5 ways to decrease distractibility in the classroom. 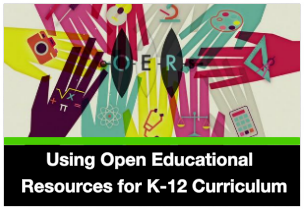 To learn specific strategies for teaching organizational skills. To learn 6 ways to stop ADHD students from interrupting the class. To learn 12 ways to stop the fidgeting and hyperactivity in the classroom. 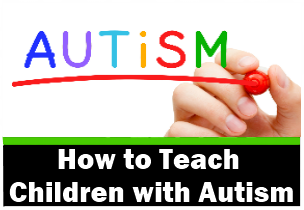 To learn 4 methods to address ADHD and Autism. To learn how the iPad can benefit your ADHD students. To learn about the 5 best organization apps for helping those with ADHD. To learn why scheduling apps are good for those with ADHD. To be able to compare the scheduling apps so you will know which one/s will work best for you student/s. To learn the guidelines for choosing apps or gadgets to help your ADHD student. To learn what technology is available to help your student with reading and writing and when it is appropriate for them to use it. 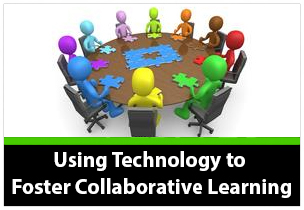 To learn the best way to go from note taking to using technology to assist students when note taking. To learn what brain studies say about children using apps and technology. To discover what are the best education apps to use. To understand which apps improve learning skills. To know what children spend more time on when they read from electronic books. To quickly review the course before taking the final quiz.